64% of Albany Airport travelers were over the age of 35. 29% of Albany Airport travelers were over the age of 60. 6% travelers traveled to ALB with kids under the age of 14. 27% of ALB travelers were millennials. 56% of ALB travelers were female. MCO, FLL, RSW were the most popular destinations visited by First-Class travelers from ALB. Travelers spent an average of 6.00 days in Albany Airport. 6:00PM - 7:00PM are the busiest hours at ALB. Every week, at least 517 domestic flights and 52 international flights depart from ALB. 574 flights arrive each week at ALB. 572 nonstop flights arrive at ALB each week. The first flight to ALB departs around 7:00AM - 8:00AM. The last flight to ALB departs around 12:00AM - 1:00AM. March was the month with most bookings for ALB airport. December was the month with least bookings for ALB airport. Albany International Airport is the major airport serving Northeastern New York and Western New England. The Albany International Airport offers a wide-range of facilities and services as it is the major air center for the Capital Region, Northeastern New York and Western New England. The airport has undergone a major development by expanding the terminal to 230,000 square feet to serve 1.2 million passengers. Book flights to Albany Airport (ALB) with CheapOair! In addition to offering competitive airfares to locations most convenient for you, we provide useful information to inform your travel to ALB. Read below to learn more about ALB flights, and count on CheapOair for the best deals on all of your travel booking needs. 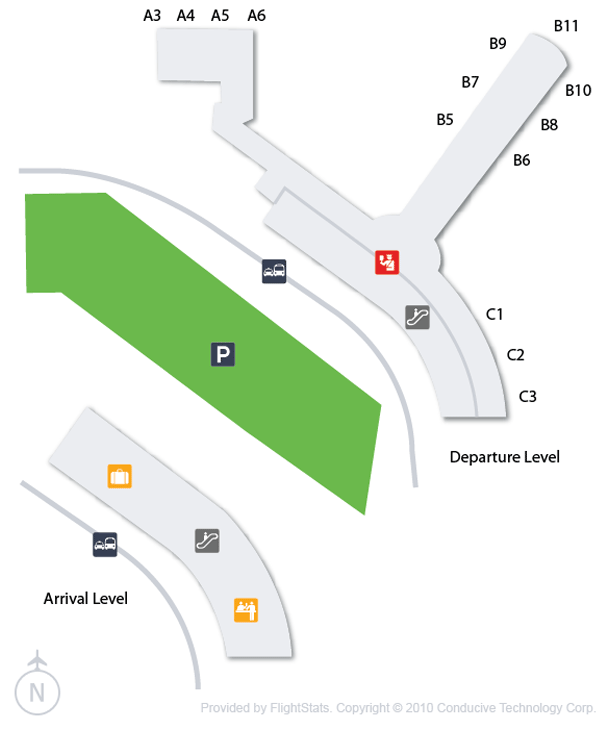 Taxi stand is located just outside the baggage claim area; the airport also offers local, regional and long-distance bus service also a number of area hotels provide with transportation so when you book one of them don’t forget confirming about the transportation. Albany international airport provides free wireless throughout the terminal; ATM's are located in the Baggage Claim area, A-Concourse and C-Concourse. Travelers who need wheelchairs can use the wheel chairs free of charge. Telephones with computer hookups are located throughout the terminal and parking garage. 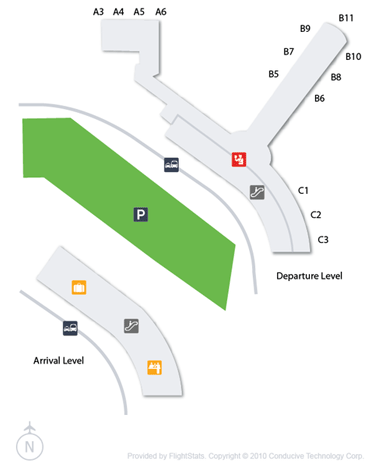 First 30 minutes are free at the short term parking lot and each parking location provides easy access to the Airport terminal. Parking for disabled is available at the short term parking garage and persons with disabilities can take advantage of the lowest Airport daily parking rate. The parking lots are covered and have 2400 parking spaces. Find cheap hotels in Albany - Lowest rates for all sorts of Albany hotels!